As you may have noticed Google From on our Contact page, it’s been almost 2 years we are using it on Crunchify. So far it’s working out very well for us. Why to pay for monthly fees to other WordPress Forms provider as Google already giving us an option to create our own beautiful forms. 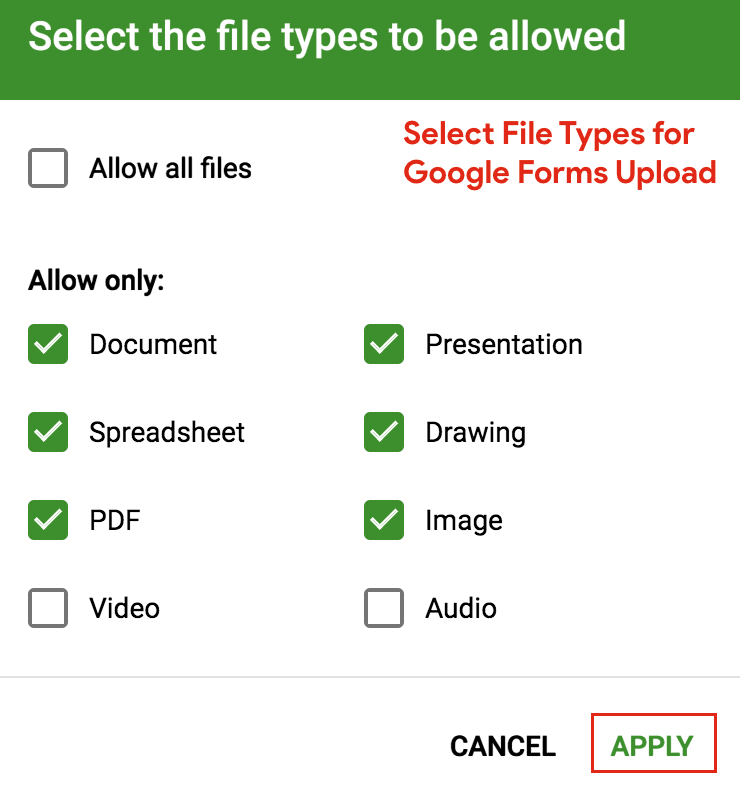 Google Forms not only provide us an option to beautify layouts but also it helps put all validation for each forms, file upload utility, storing all responses to excel sheet and of course email notification. 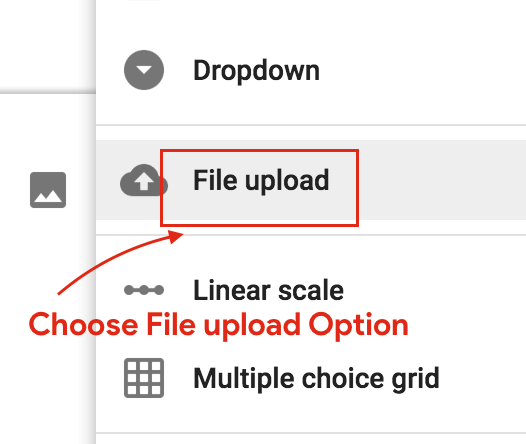 Last month G Suite users got an option to upload file and which I would like to share with you today. That’s an most requested feature and I wanted that badly for my teams. Choose one of the many predefined template. I choose the 1st Contact Information template. In that form, just add File upload option by selecting + button. You will immediately see a message saying your files will be uploaded to owner’s Google Drive folder. Next step is to select how big and which type of files you would like your users to upload. I usually select 10MB and all file types except video and mp3. Just see live preview of your form and you will see ADD FILE link as you see in below image. 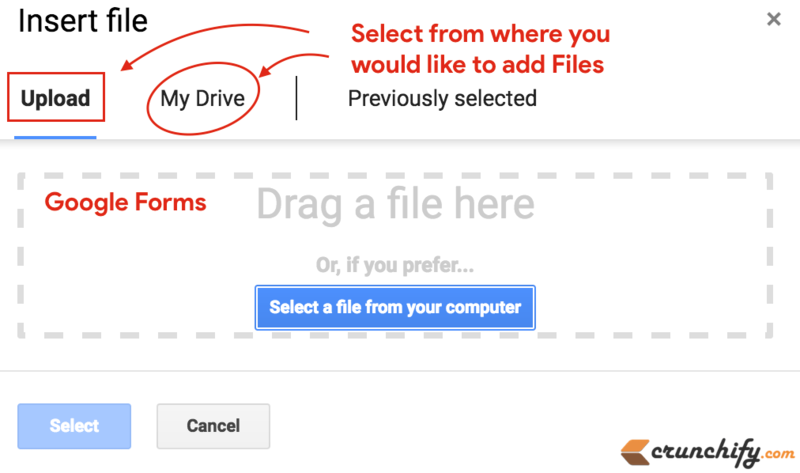 Just click on it and it will open a pop-up window and you will have an option to upload new file or choose a file from your Google Drive folder. That’s it. It’s very convenient and simple feature which Google has added to Google Forms. I’m really enjoying Google Form. Let me know your comment or a problem you are facing. How do I upload files to Google Drive? How does Google Drive sharing work? How do you turn on a Google form? What is an alternative to Wufoo Forms, Gravity Forms, Ninja forms, WP Forms, etc? Again, I really think there is no need to pay for paid WordPress forms, i.e, Ninja Forms, Gravity Forms, WP Forms, Wufoo, etc. The sad part is users have to sign-in in order to upload the file. I have G-Suite. Yeah. I hope they open Google Form for publish use. Hi, i use google forms for a lot of citizens. They ask questions, and now they are able to upload files, which makes me think to easier answers. The problem is that not everybody has a G suite, and now i made the question “required” to upload files, but i need to find somehow to let people upload files without having a G suite. Is that somehow possible ? Hi Albion – currently it’s not possible. I’m also waiting for that option. But, where are the uploaded files actually stored? I know it put the link to the file on the sheet and I know that is names the folder the same as the question….but how does it decide exactly where on my Drive to put the files? Hi! In my Google Forms there is no Option like ‘File Upload’. Is there anything that I should do? Thanks. Hi Rodrigo – Do you have Google G Suite account? or normal Gmail? I don’t understand how this feature is useful for a blog given that google limits file uploads to users within your google domain. It’s a very annoying limitation, that makes the feature useless to most. Hi Simon – Yeah. I agree – reached out to google team for an update when we will have an option to use Upload file utility for non-domain folks. It is annoying, because why wouldn’t you just share the file via google drive? +1 for it. I would love to see Google Drive and Form integration.